Happy New Year - Welcome 2016! Happy new year to all our supporters and friends! I’ve been working on so many projects that this blog has been neglected. Well, this year, my 2016 word is commit. I am committed to bringing more content to this site – with the help of fellow babywearers, groups and fans, I hope. I can’t be the only one who’s enthusiastic about babywearing and respectful parenting and deals, right? If you haven’t signed up for our newsletter, please do! I just sent out one with timely giveaways. How was your holiday season? 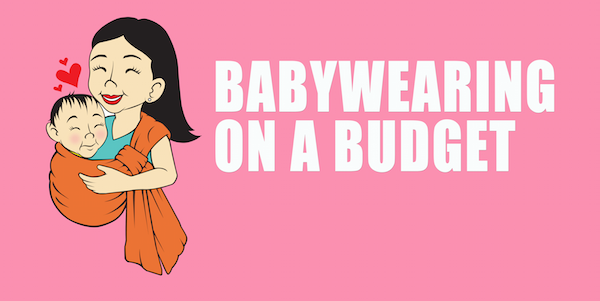 Did you babywear during the holiday season? Did babywearing help you and your Little during a stressful situation? We stayed mostly local ourselves. Most of my family is within driving distance but it was a strain for us with extended waking hours. Toddler Spawn’s bedtime moved about 1-2 hours past her usual bedtime and we all paid for it. Babywearing did not help here. Just going back to the same schedule took a few days. Next up, Lunar New Year is coming up! My friend Patty brought over a hand-me-down traditional Chinese quilted jacket, and I can’t wait for Spawn to wear it to celebrate the Year of the Monkey! Help us make this site awesome!